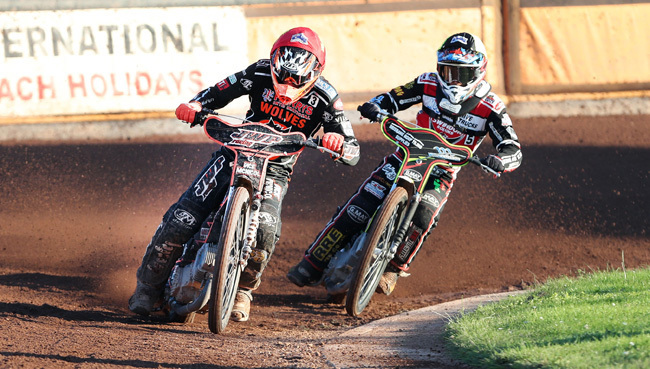 WOLVERHAMPTON put in their best performance of the season so far as they thrashed Swindon 62-30 at Monmore Green. 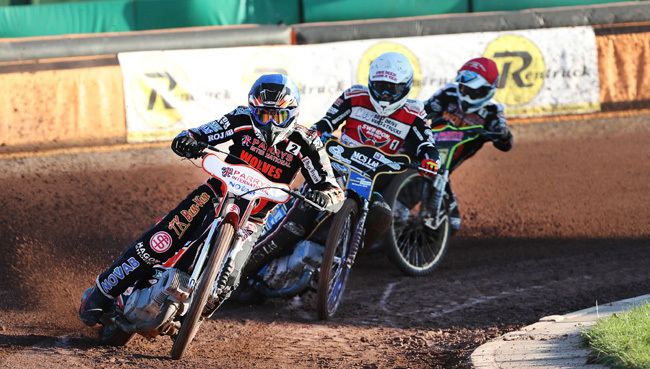 The Parrys International Wolves stormed to their biggest win of the campaign with a crushing victory over the third-placed Robins. It was a truly dominant display from Peter Adams’ side as they recorded 14 race wins and ran only two last places. Skipper Freddie Lindgren, who reeled off four straight wins in his final four rides to bag 13 points, was delighted with a confidence-boosting team performance. Said Lindgren: “We were really pumped up for a tough meeting, especially with Kylmakorpi missing and dropping down in the averages meaning not everyone could take his rider replacement rides. Club legend Peter Karlsson stormed to a faultless 12+3 paid maximum, whilst Lindgren and Sam Masters suffered just one defeat apiece from their five rides. Reserve duo Max Clegg and Kyle Howarth also notched double figures, with Clegg twice striking 5-1s alongside Karlsson and Howarth claiming the scalp of Grand Prix star Jason Doyle in heat six. Jacob Thorssell endured a difficult evening, twice being excluded after falls, but he was still involved in a heat 13 maximum as they put the visitors to the sword. The result moves Wolves four points clear at the top of the Elite League table and means they head into the World Cup break high on confidence. 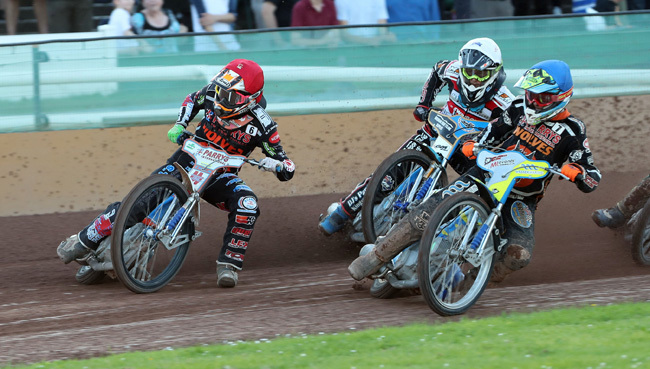 They will return to Monmore Green for a local derby showdown with Coventry on Monday, August 1 (7.30). WOLVERHAMPTON 62: Fredrik Lindgren 13, Sam Masters 13, Peter Karlsson 12+3, Max Clegg 10+2, Kyle Howarth 10, Jacob Thorssell 4+1, Joonas Kylmakorpi r/r. SWINDON 30: Jason Doyle 9, Rohan Tungate 6+1, Justin Sedgmen 6, Nick Morris 4, Charles Wright 4, Josh Grajczonek 1+1, Robert Branford 0.